The on-campus M.A. in Higher Education/Student Personnel program provides professional preparation for persons who are or will be employed in the administration of student affairs, student life, student services, or other co-curricular positions at a college or university. Many graduate assistantship opportunities are available. The Division of Student Affairs, in coordination with the Department of Higher Education, sponsors an annual graduate assistantship hiring fair for newly admitted M.A. students to interview for graduate assistantship positions. Most of our full-time master’s students hold graduate assistantships somewhere on campus. Half-time assistantships have a service commitment of 20 hours/week. In exchange, they cover fall and spring tuition and provide a stipend, the amount of which varies by site and the level of the graduate student. Quarter-time assistantships have a service commitment of 10 hours/week. In exchange, they cover 75% of fall and spring tuition and provide a stipend, the amount of which varies by site and the level of the graduate student. School of Education online degrees ranked among the nation’s best by U.S. News and World Report. The Doctor of Education (Ed.D.) with an emphasis in Higher Education is designed for current college and university administrators who desire to emphasize a practitioner focus in their doctoral studies. It is possible to complete the Ed.D. degree requirements on a part-time basis over a three-year period. The degree culminates with a Dissertation-in-Practice, a capstone dissertation project based on research focused through the lens of professional practice. Using a student cohort format in program delivery, there exists a high degree of collaboration contributing to enhanced student persistence and completion. The cohort model allows students to meet and study alongside professional peers and engage in meaningful and engaging discussion and intellectual exploration. 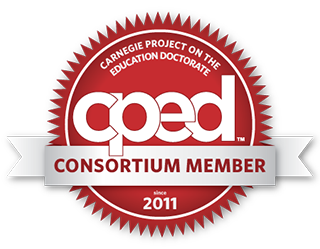 The School of Education at the University of Mississippi is a member of the Carnegie Project on the Education Doctorate, a consortium of doctoral-granting institutions committed to advancing the understanding of the contemporary doctorate in education. The Doctor of Philosophy (Ph.D.) degree provides the opportunity to advance a doctoral student’s expertise in both quantitative and qualitative research skills to conduct scholarly research. The degree cultivates advanced knowledge in educational foundations, enabling the student to develop critical perspectives on contemporary policy and practice. Department of Higher Education faculty are regarded nationally as scholars, having active research agendas. Assistantships and fellowships are available for full-time students on a competitive basis. For more information on these opportunities, you can contact Dr. John Holleman, Program Coordinator.